Scott Huffman, vice president of engineering for Google Assistant, spoke at CES on Monday. 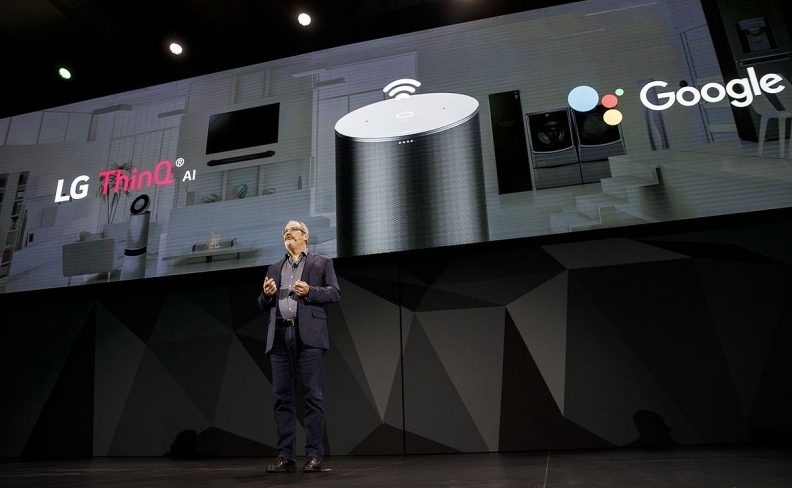 LAS VEGAS -- Google made a rare appearance at the CES consumer electronics show in Las Vegas on Monday to announce versions of its digital assistant for speakers with screens and cars. The new speakers with Google Assistant are similar to Amazon’s recently released Echo Show and Echo Dot. A person can ask the Google Assistant a question and the response will be shown on a screen. While Alexa for screens works exclusively with Amazon’s own Echo hardware, Google Assistant is compatible with devices made by other companies, including new models from Sony, LG Electronics, Lenovo Group and JBL, a brand of Samsung Electronic's Harman division. Alphabet’s Google is also releasing a version of the Assistant for Android Auto in the U.S., the company’s platform for projecting commands from a smartphone to a car’s center console. Google previously brought the voice service to cars with navigation systems that run Android.